As many Homestead seniors embark on the journey of the college application process, they face numerous tasks that they need to complete. “Make sure to plan ahead and work early,” Kelly McCrimmon, senior, voiced. During this journey, communication with the Counseling Office is imperative. Below, a few important tasks are explained. Once a student has asked a teacher for a letter of recommendation, they need to go into Family Connections and add the teacher under the “Recommendations” section of the “Colleges I’m applying to” icon on the “Colleges” tab. Then, the teacher can upload the letter into Family Connections. Once they have uploaded it, the student will see “Completed” next to that teacher’s name under this tab. To send in transcripts, a student needs to find the white form in the Counseling Office marked “Transcripts”. Once a student has done this, they need to fill out the form with their name, ID number, counselor’s name, address of the school and a few questions. It is crucial that the counselor has two weeks to review the form so they can send the transcript accurately. Each student needs to fill out a green form about themselves, their activities and their traits. This form helps the counselor get a more accurate perspective about the student so they can write a proper report about the student. Also, the student’s parents must fill out a “Parent Brag Sheet” to give the counselor more insight into their student’s life. 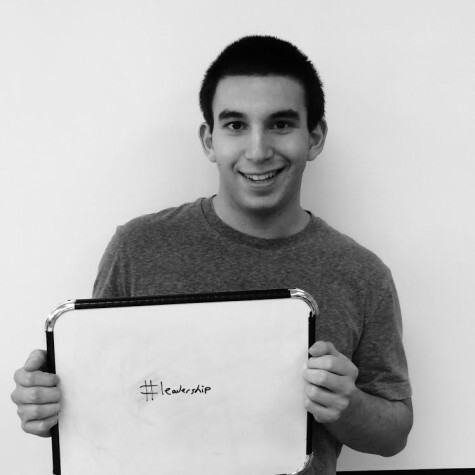 After a student has entered all of the colleges they are applying to into the “Colleges I’m applying to” tab, they must transfer their CommonApp account. There are specific instructions in this tab demonstrating how to sync the accounts, but the student must complete this task so that their counselors can link documents between the two online databases. The counseling office is offering multiple workshops during flex time about various parts of the college application process. This past week, workshops were offered about the college essay. “The only part of a college application that is your voice is the essay,” Jill McElroy, school counselor, noted. 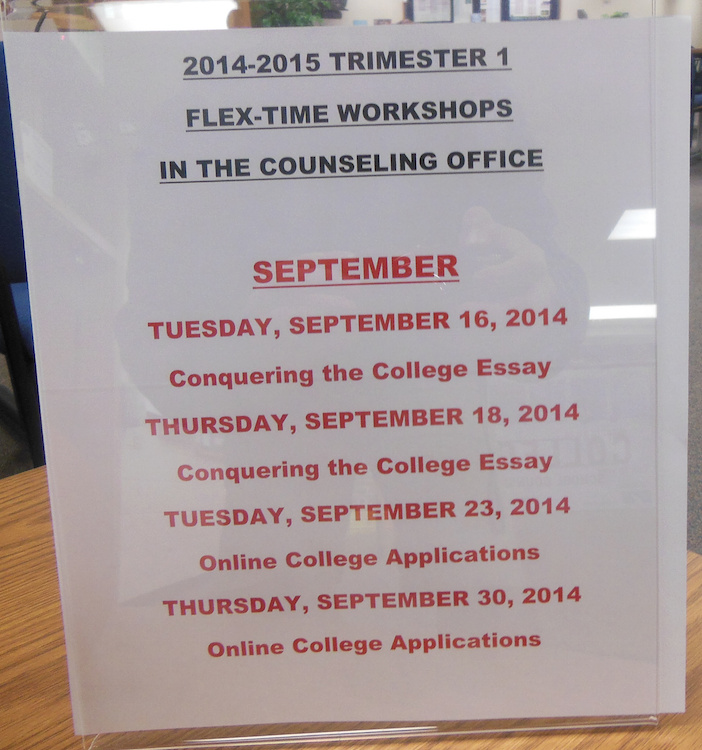 In the upcoming weeks, the following workshops are being offered during Flex Time. Additionally, there are colleges and universities that are visiting Homestead frequently to discuss their programs with students who are interested applying. “The people that come here are the ones reading the applications, so attending a session shows that you have demonstrated interest in the college or university,” Jill McElroy, school counselor, verbalized. Below is a list of the colleges coming to Homestead and the respective dates. Davidson College- Sept. 23 at 1:03 p.m.
Northeastern University- Sept. 24 at 7:25 a.m.
Lehigh University- Sept. 24 at 1:24 p.m.
University of Richmond- Sept. 26 at 7:25 a.m.
Grinnell College- Sept. 26 at 8:45 a.m.
Colorado College- Sept. 26 at 10a.m. Yale University- Sept. 26 at 11:30 a.m.
Carthage College- Sept. 26 at 12:05 p.m.
Bucknell University- Sept. 29 at 7:25 a.m.
High Point University- Sept. 29 at 8:45 a.m.
Carleton College- Sept. 29 at 12:05 p.m.
University of Vermont- Sept. 29 at 1:25 p.m.
Boston University- Sept. 30 at 7:25 a.m.
Lake Forest College- Sept. 30 at 8:39 a.m.
Rutgers University- Sept. 30 at 12 p.m.
Montana State University- Sept. 30 at 1:03 p.m.
Marquette University- Oct. 1 at 12 p.m.
Washington University in St. Louis- Oct. 1 at 1:24 p.m.
Vanderbilt University- Oct. 2 at 7:25 a.m.
Texas Christian University- Oct. 2 at 8:39 a.m.
Loyola University Chicago- Oct. 2 at 11:49 a.m.
Tulane University- Oct. 2 at 1:03 p.m.
Elon University- Oct. 3 at 8:45 a.m.
Hillsdale College- Oct. 3 at 10a.m. Ripon College- Oct. 6 at 8:45 a.m.
Franklin and Marshall College- Oct. 6 at 12:05 p.m.
University of Chicago- Oct. 6 at 1:24 p.m.
Cardinal Stritch University- Oct. 7 at 11:49 a.m.
Ball State University- Oct. 8 at 1:24 p.m.
Butler University- Oct. 9 at 1:00 p.m.
Boston College- Oct. 10 at 7:25 a.m.
University of Colorado at Boulder- Oct. 13 at 7:25 a.m.
Indiana University at Bloomington- Oct. 13 at 8:39 a.m.
Winona State University- Oct. 13 at 12 p.m.
University of Puget Sound- Oct. 14 at 7:25 a.m.
Milwaukee Institute of Art and Design- Oct. 14 at 8:39 a.m.
Drake University- Oct. 14 at 11:49 a.m.
Arizona State University- Oct. 16 at 7:25 a.m.
St. Norbert College- Oct. 16 at 7:39 a.m.
Denison University- Oct. 16 at 10 a.m.
College of Saint Benedict- Oct. 16 at 10 a.m.
Miami University, Oxford- Oct. 16 at 2:16 p.m.
Michigan Tech University- Oct. 17 at 8:45 a.m.
Knox College- Oct. 20 at 8:45 a.m. The University of Alabama- Oct. 20 at 10 a.m.
Carroll University- Oct. 20 at 12:05 p.m.
Lawrence University- Oct. 27 at 12:24 p.m.
University of Dayton- Oct. 28 at 8:39 a.m.
Case Western Reserve University- Oct. 29 at 7:25 a.m.
Washington and Lee University- Oct. 29 at 1:24 p.m.
Edgewood College- Nov. 4 at 8:39 a.m.
Columbia University- Nov. 17 at 8:45 a.m. If any senior needs any help, the counselors in the counseling office would love to answer any questions. “They are always there for you if you need any help throughout the labyrinth of the college search,” Will Gebhardt, senior, stated. A sign in the Counseling Office depicts the workshops offered in the month of September. Last week, there were two workshops about the college essay. “Students were able to not only learn what the colleges are looking for but they also could hear and look at sample essays,” Jill McElroy, school counselor, expressed. 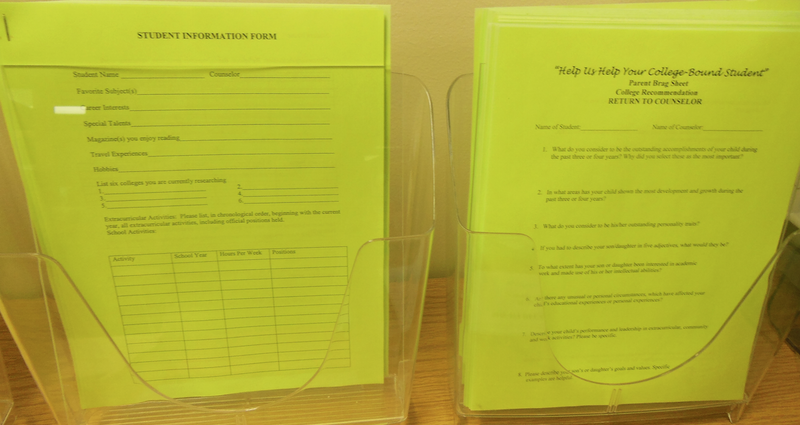 Two green forms, one for students and one for parents, sit in the Counseling Office waiting to be picked up. These forms were given to students at their Junior Conference and help counselors write letters of recommendation. “Seniors should bring in these forms so their counselors can start writing,” Jill McElroy, school counselor, stated.